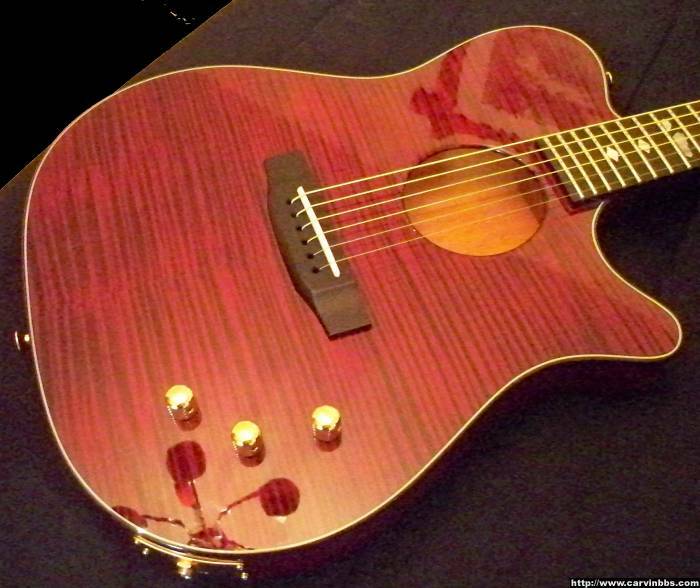 pastordave2 wrote: I guess I need to post my Koa AC375 here too. Man, that thing looks so silky smooth. 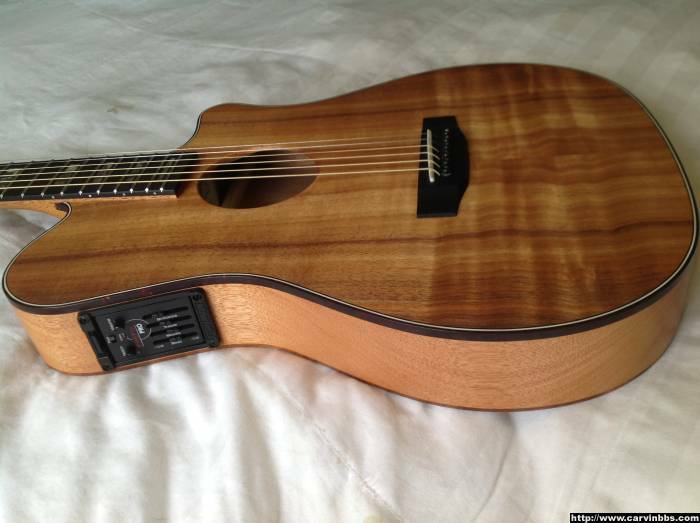 I love the ripples in the grain of that koa-- also, the slight contrast of the lighter mahogany sides with the tortose binding is nice. Really pretty! PD2, um, how could you not post your beautiful AC375? It definately belongs here! 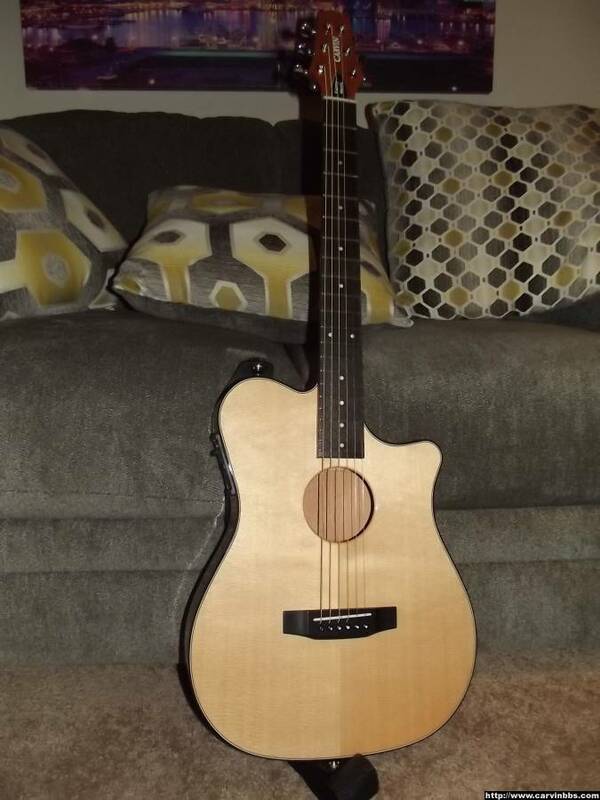 Taylor 2018 714CE V-Class w/gold Gotoh locking tuners! 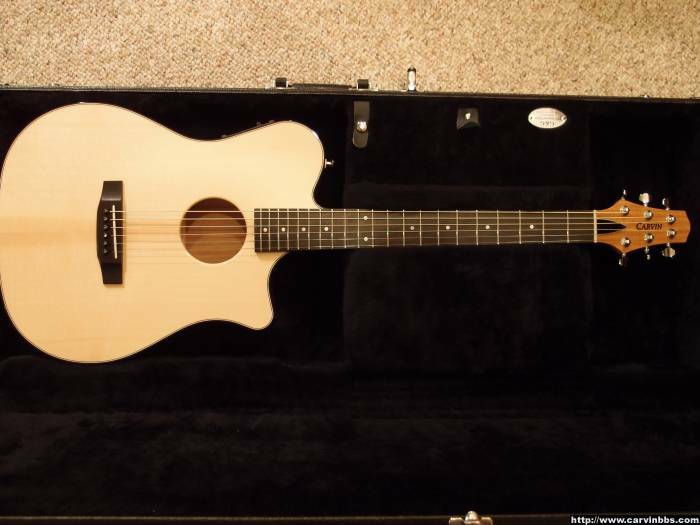 Taylor 314CE w/gold Gotoh locking tuners! To tell the truth I thought I had already but I guess I posted it in the koa club and the tung oil club and forgot to post it here. Please forgive my oversight. It seems to be happening more often the older I get. Yes, unfortunately age happens, you're not alone on that one! 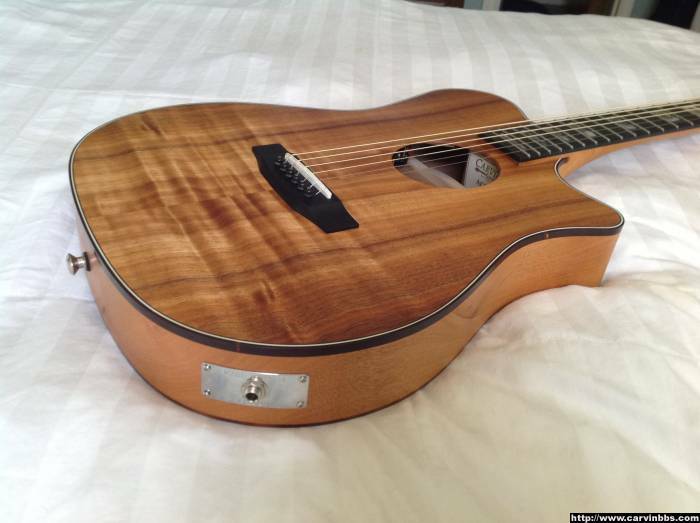 Plain koa top wood in satin matte? Yea buddy, that's gorgeous. if I played bass that would be the one for me. Have I guessed right on the top wood and finish? 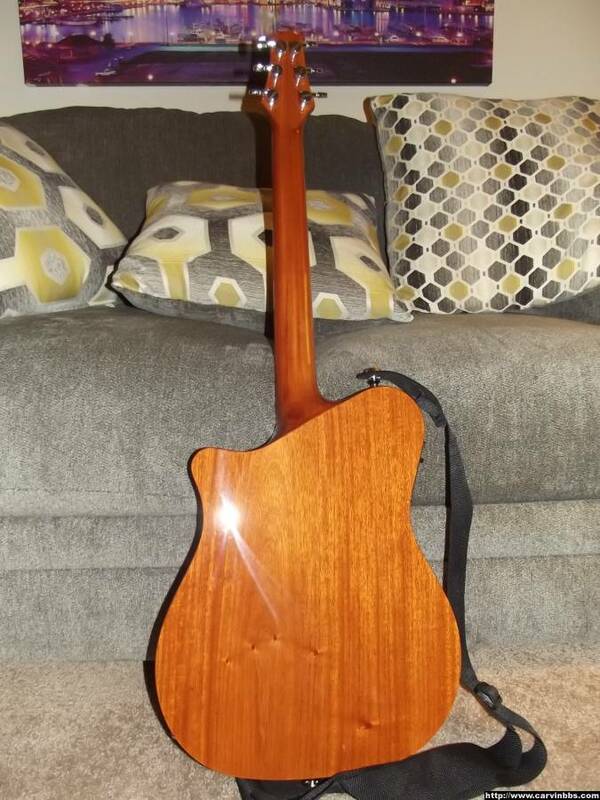 If the sides are Hog, I can't think of anything else it could be but Koa and if I would ever get another bass that would be so nice, I think I'd leave the sound hole in it but they play great I tried one when I was out there a few years back and loved it, that was when I was still playing bass and then switched to guitar and was one of the reasons I went with the AC275 as my first new Carvin build, those strings are so easy on the fingers and the tone is great, if I remember right the one I played had a Claro top on it! "The quality of Mercy is not strain'd ... "
Nice, looks like a brother to mine without inlays! I feel honored, thank you. 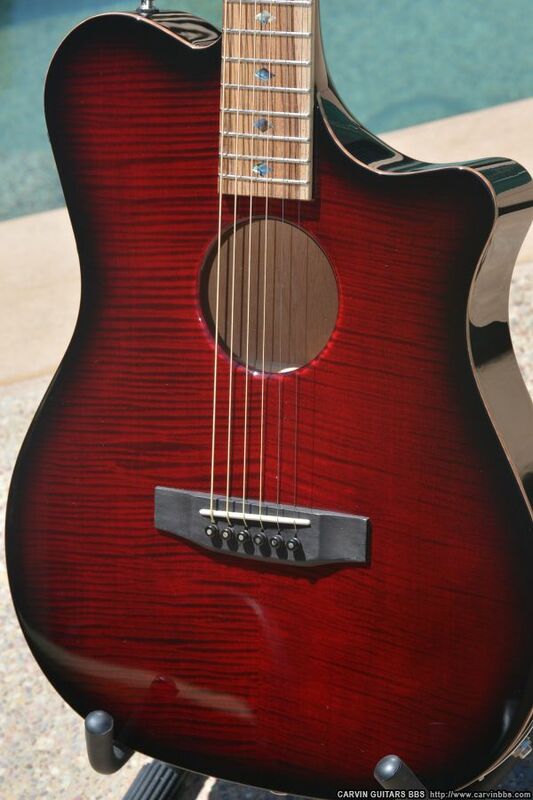 I liked the color on the catalog SH550CE so much I knew it would look good on the Cedar top AC375! 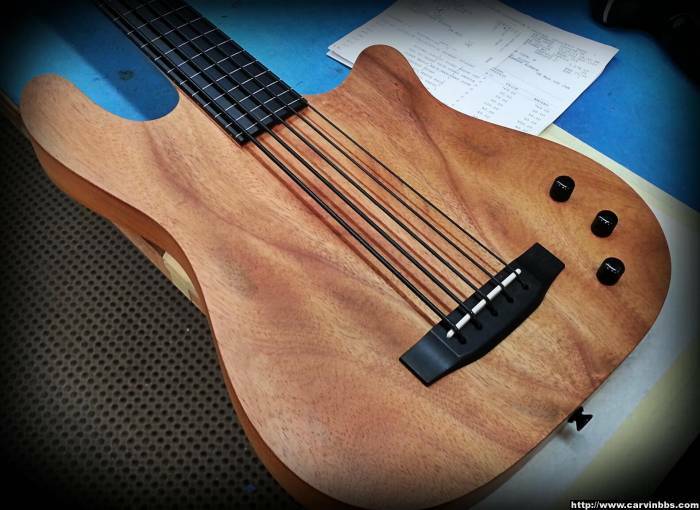 And it's tone with Cedar is awesome too!! Amen to The "Awesome Tone", Pastor Dave!! I can't find a decent picture, but here's my entry into club. Got this guitar in 1996 as a high school graduation gift from my parents. 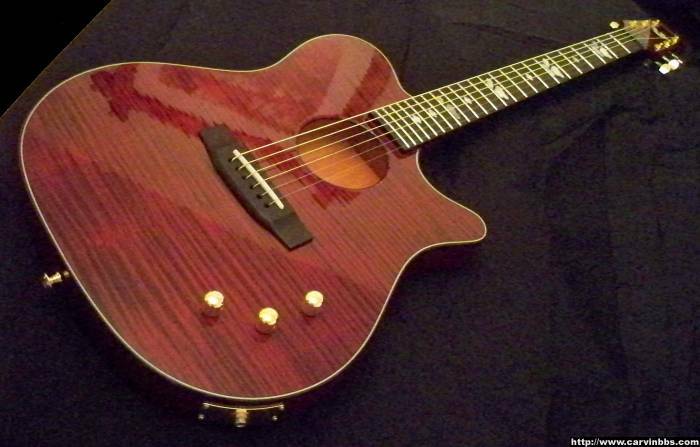 I never really liked the color as the mahogany didn't take the classic sunburst as well as I wanted (it came out too orange in the middle), but it plays so well and sounds so good plugged in that I just can't bear to part with it. I've also given a lot of consideration to having it stripped and refinished, but I'm just a tad too lazy for that. 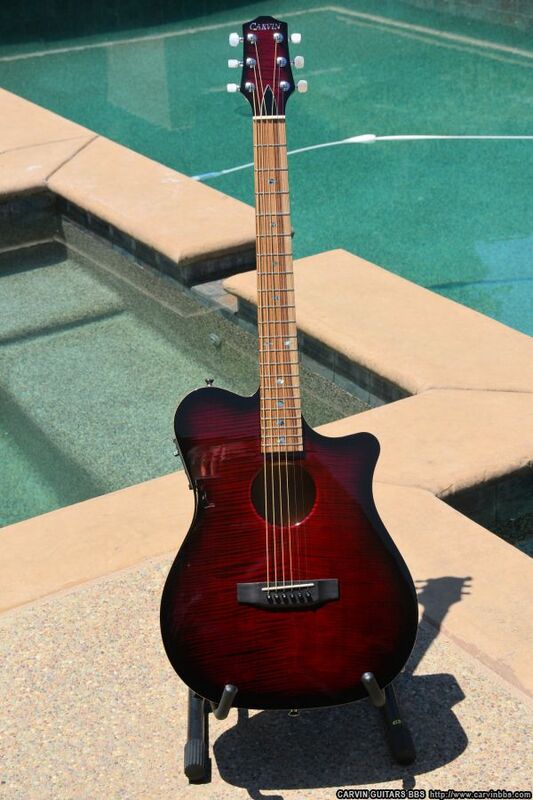 Cedar top, pretty much standard on everything else but plays and sounds great. 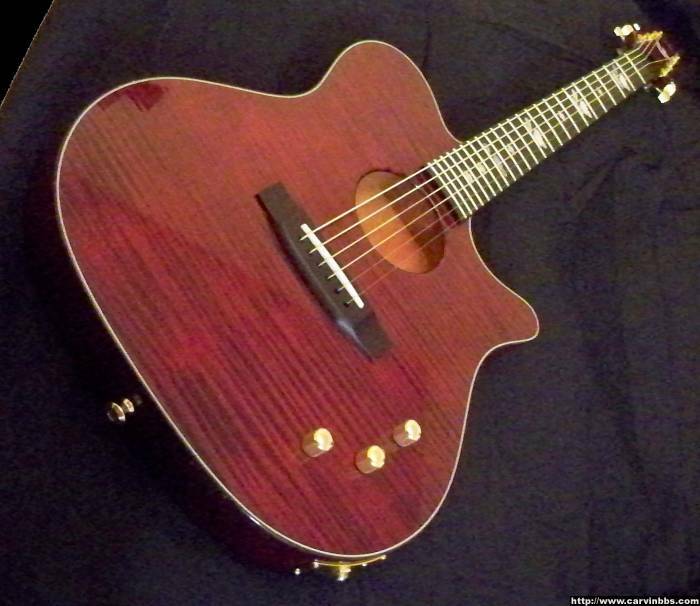 Another AC375 with a spruce top.... looks much better than the picture, sounds great too! Here's my application for membership, my very recently (today) acquired AC375. 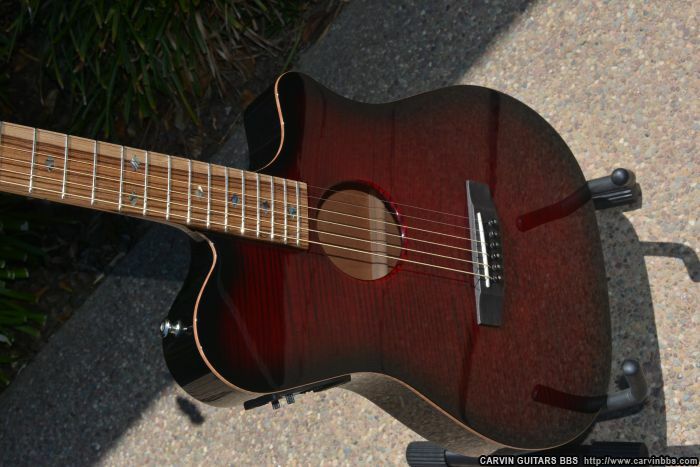 Haven't had a chance to play it much but what little I have played it am very pleased with the sound quality coming from a thin-bodied acoustic and more than very pleased at how comfortable and easy this guitar plays. 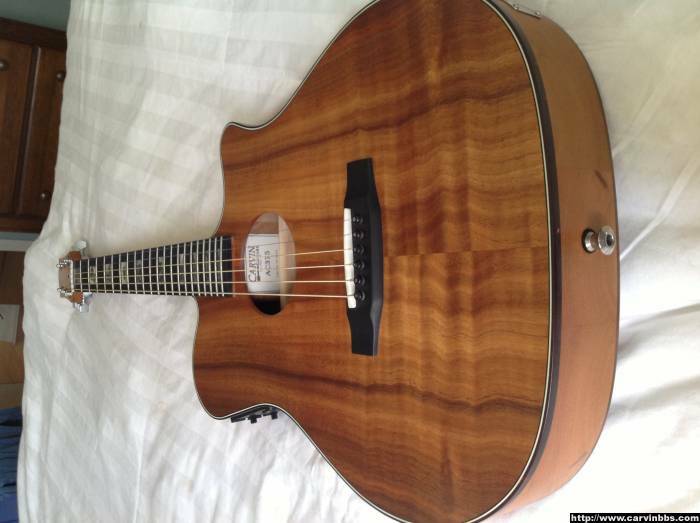 Am looking forward to hooking her up to my AG100D and really see how she sounds. 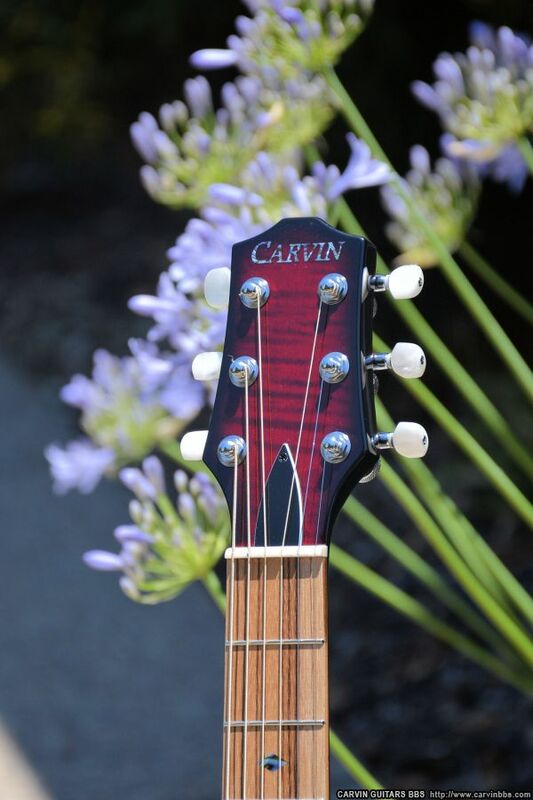 Here are a couple of pics with more in my NGD thread in Carvin Guitars & Photos forum.